In our usual circuit of beloved NYC restaurants, we made a stop at Zum Schneider (7th Street and Avenue C, Manhattan). This neighborhood institution is an indoor Barvarian biergarten with communal wood tables, an amazing vom Fass (on tap) list, and a very respectable menu of vegetarian dishes. On this particular trip we were even treated to a Jane Lynch sighting!Obatzda cheese is rumored to have originated as a use for leftover cheese - primarily a soft, mild cheese (camembert or brie), a smaller amount of ripened cheese (limburger or blue), and butter or cream cheese. It is accented with sweet paprika, any number of traditional German herbs or spices (e.g. horseradish, chives, caraway seed) and/or beer. 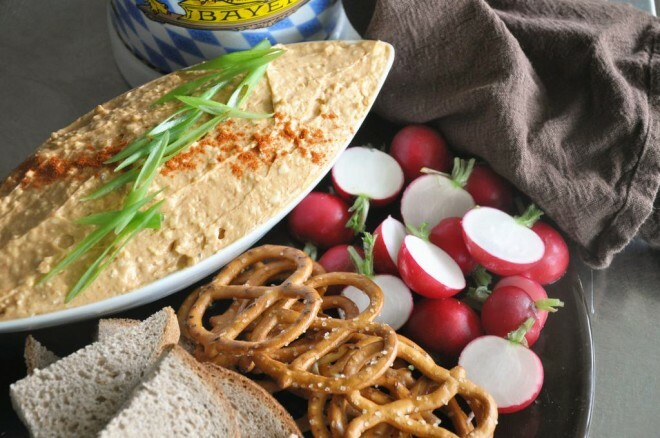 Serve with rye bread, pretzels, radishes, and/or pickles. In a food processor, pulse together all the ingredients (except onions) about 20-25 times. Leave the dip still a bit chunky. Spoon into bowl and serve. 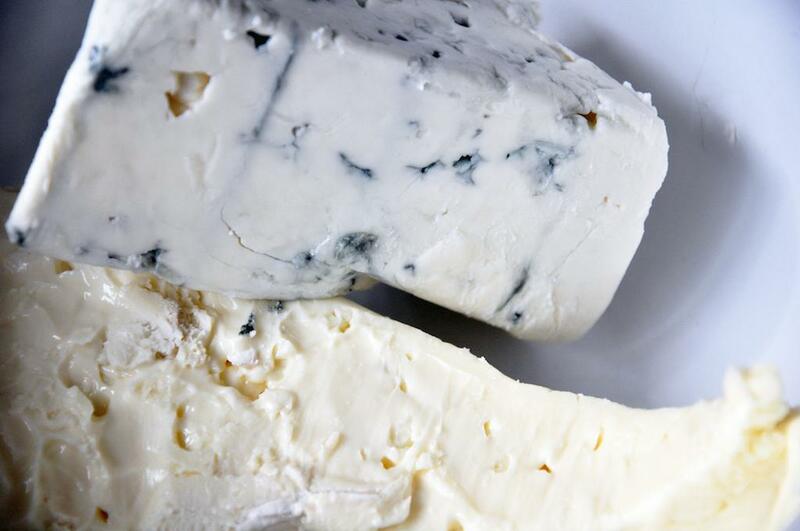 For a firmer cheese, refrigerate 30-60 minutes before serving.